Evolve is the latest game from Turtle Rock Studios, developer of consecrated franchise Left 4 Dead. Available for PlayStation 4, Xbox One and PC, the title offers online asymmetric departures from four to one. On the one hand, the player can assume the role of a hunter for a first-person experience. On the other, there is the possibility to opt for a gaming in the third person and thereby drive a monster in search of evolution. Now check out the experts of the assault group. The Assault class is already well known to FPS fans. Slaughter specialist is primarily responsible for causing damage to opponents. In Evolve, assault should adopt offensive strategies to make the creature's life bar decrease as quickly as possible. The initial brute has in its arsenal some interesting options, such as electric rifle, an armament with a high rate of damage capable of firing bursts of rays simultaneously in different creatures. Although it is a powerful item, it is only effective in fighting the short and medium distances. Markov also has a less powerful assault rifle that your power tool of extermination. However, the equipment is much more efficient in clashes over long distances. Search using it while your character is approaching monster. This way, you will always be causing some kind of damage to the creature. In addition to weapons, the character is also capable of handling electrical mines to lay ambushes. The mines take some time to be armed, but can be spread in large quantities in the scene. The traps are great alternatives to deal damage in nearby clashes while the electric rifle is recharging. Try planting traps in environmental strategic locations so that you and your companions can attract the beast to the minefield. Do your best to fill the location of the battle with mine before downloading electrical bursts on the monster, so that you will be able to cause damage everywhere. The standard assault class ability is the personal shield. With it, the character can protect themselves from monster attacks for a limited time. 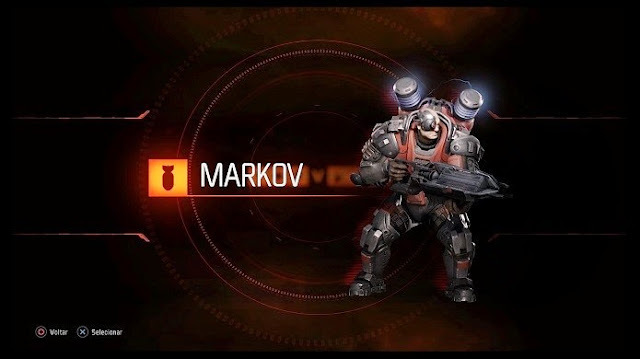 Markov can activate the shield during the most critical moments or when incapacitated in enemy territory. 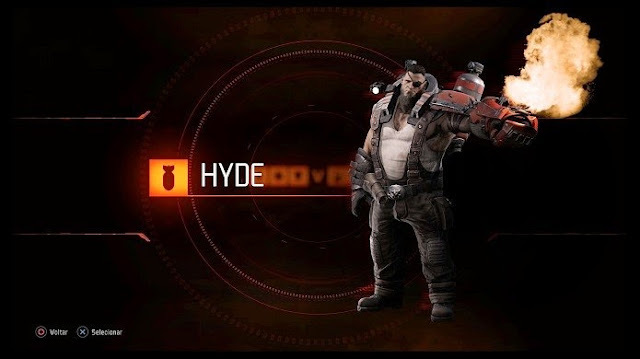 Hyde is the second playable member of the assault class. As Markov, the character also has a heavy weapon for close encounters. Hyde has in hand a flamethrower extremely powerful, ideal to draw the attention of monsters and, of course, cause heavy damage. In your arsenal, there is a spitting machine-gun bullets, perfect for hits at long range. Although she can shoot different ammunition in a few seconds, you can have some difficulty at first to handle it accurately (train with bots before venturing in multiplayer). Remember to always try to hit the weaknesses of the monster to cause more damage. The points are indicated in the body of the creature using icons. Why join the assault class, Hyde can also enable a personal shield to protect temporarily deadly attacks or while unable to react during the hunt. 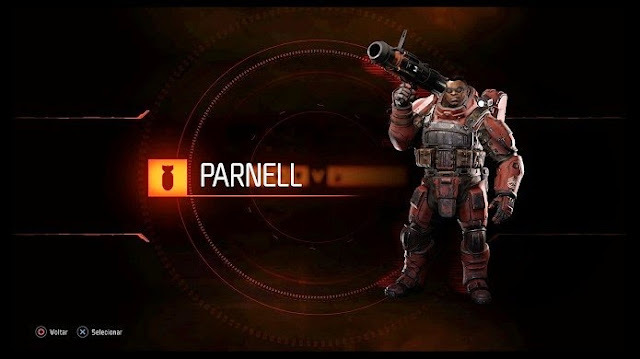 Parnell is the third and final playable character Assault class. To unlock it, just enhance the Hyde skills. The hunter has in hand an efficient automatic shotgun that, as the Hyde flamethrowers and the electric rifle Markov, cause damage at close range. In addition to the shotgun, Parnell stores in your arsenal a rocket launcher fully automatic multiple shots. The weapon is effective against distant targets hunter. No doubt Parnell is the member of the raiding party more offensive power. After all, he mastered a skill known as "Supersoldier" which can increase the rate of fire and movement speed in exchange for some hit points. Unlike Markov, which uses electrical mines to cause damage or out the monster in an advantageous area, Hyde has toxic grenades, able to stun the aberration instantly. If you want to opt for a more offensive strategy, Hyde may not be the best option. This is because the grenades are not as aggressive as the electrical mines of the first playable character. To use the skill without losing many points of life, keep a doctor always by your side, since you will be vulnerable as a result of reduced score. In terms of performance on the battlefield, it is difficult to pinpoint what is the most advantageous character. This is because the hunters have similar characteristics. Note that they all have a special weapon for short-range and one for hits at long range. Both also have the ability to activate the personal shield. To find out what the assault member right for your style, take into account the unique ability of each. Plant electrical mines, grenades and throw toxic become a super soldier to find your favorite assault member.